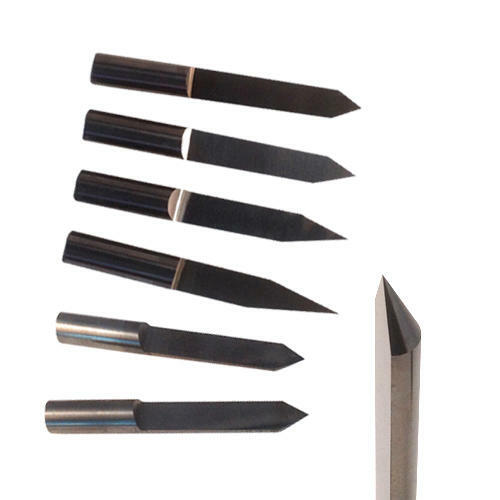 Solid carbide engraving cutter tool bits with a half round shape and a conical tip. Available in a range of angles including 20 degree, 30 degree, 45 degree and 60 degree. The small angles and tips provided on these V-shaped engraving bits produce narrow cuts and small, delicate engraving of lettering and lines. Tip diameter's range from 0.10mm, 0.20mm, 0.30mm and 0.40mm. 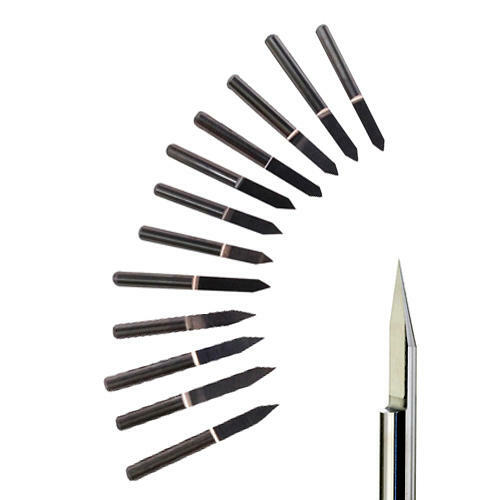 Choose shank sizes of 3.175mm or 6mm. Engrave and mark a wide range of materials such as steel, stainless steel, aluminium, wood, resin, plastics, acrylics and soft metals such as brass and copper.